About - Beyond Rewards Inc. Since 1989, Beyond Rewards has been an industry leader in the Human Resources field. Specializing in Human Resource Consulting, Recruitment, Health & Safety and Training and Development; Beyond Rewards has the experience and expertise on staff to contribute to the success of our clients' projects. Our passion for our clients’ success drives the results of the projects we deliver. Beyond Rewards specializes in AODA Compliance. Beyond Rewards partners with our clients to deliver solutions that help solve their most simple and complicated needs. Our services are designed specifically to support small to medium sized businesses that haven’t reached the point of needing a fulltime HR Professional on staff. Utilizing decades of industry experience and functional expertise, our services go beyond the norm to develop new insights, drive results, and help grow your business. We understand, that you spend a lot of time managing your business. This is time consuming with the burden of up to 40% of your time spent on staff related tasks that take you away from being able to work the business the way you’d like to. Beyond Rewards is a full service people management partner outsourcing to you Human Resource and Health & Safety on-call and on-site services. We provide a wide range of tailored solutions to assist you from Recruitment right through the employee cycle to outplacement services. Let us help you take the weight off your shoulders today! Call for a no obligation quote! We are your HR and Safety Specialists with over 25 years in business; Onsite at your location and off-site on-call at Beyond Rewards. We care about our clients and their teams! Beyond Rewards is for small to medium sized businesses that haven’t reached the point of needing a fulltime Human Resources Professional on staff. We Partner with our clients to deliver solutions that solve their most simple and complicated people management needs We are your People Management Specialists. We understand human resources, management & supervisory coaching, training and health & safety often requires a 3rd party, unbiased solution to resolve a pressing issue or quite simply to assist in training or coaching an employee to enhance their career within your organization. 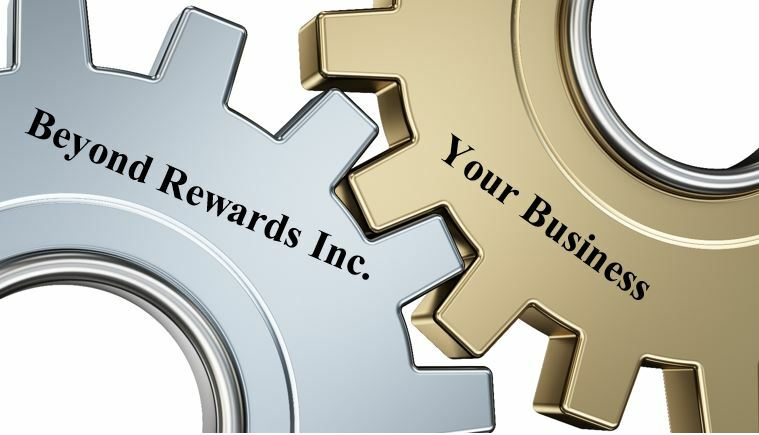 Beyond Rewards specializes in solutions tailored to your needs offering Workplace Investigations, Ergonomic Assessments, Recruitment Assistance, Training, Outplacement, Coaching and Psychometric Assessment Services, with professionals on staff to assist you. We are your Human Resources & Health & Safety partners! Be proactive, not reactive! Don’t wait until it is too late. Call us for a no obligation quote. We are your outsourced people solutions partners with over 25 years in business. We feel that fit is important! We may not be the right fit for you or you for us; you are still important to us. We will refer you to someone who can help you. We want to make sure your needs are met. We work with you to ensure your needs are met, whether with a Beyond Rewards professional or one of our trusted partner organizations; your happiness is important to us. Finding a solution for you is our top priority! When we develop a program for you, we guarantee its compliance for 6 months. Should the government change the laws and regulations during that period, we will update the program related to the change at no cost to you, our client. Why I (Lynne Bard) Started Beyond Rewards Inc. I am passionate about helping others. Human Resources focuses on people. I saw a need through family and friends having their own small businesses where HR and Safety were issues that needed to be addressed. Through my passion to assist others, helping entrepreneurs succeed in their businesses through HR and Safety Supports, drives not only their success but mine through the satisfaction of client’s HR and Safety Success stories.